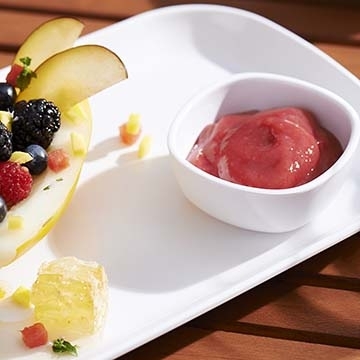 Perfect for outdoor table or buffet service, Retro melamine from Steelite is heavyweight and extremely durable. Clean lines and coupe shapes offer your service a simple, elegant and on trend style. Its bright white color provides a classic frame for any entrée, salad, sauce or dessert. Available in a wide variety of shapes and sizes, Retro is a wonderful choice for high volume foodservice operators and caterers alike.